Gift your loyal customers with our finest, specialty coffee and teas. A great way to appreciate your customers who have been loyal to your services! We offer to package, apply your custom graphic on a label and ship the order to your office for distribution to your customers. Must meet minimum quantities for each order. You may use our standard labels or create your own graphic for the label. We will print labels, package and deliver the order to your office. The labels will be applied to one side of the coffee or tea bags. The coffee is from our own family farm in the Giri Mountains of South West India. Farming coffee since the late 1800's! 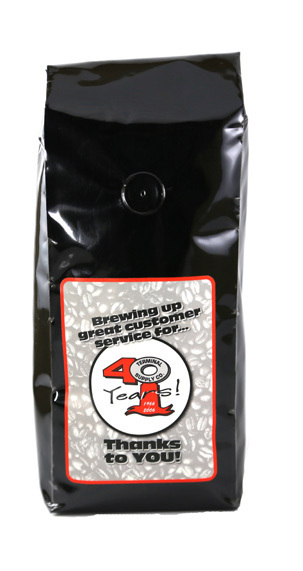 Coffee is roasted and packaged locally in Michigan. Enjoy farm to your cup coffee and tea!